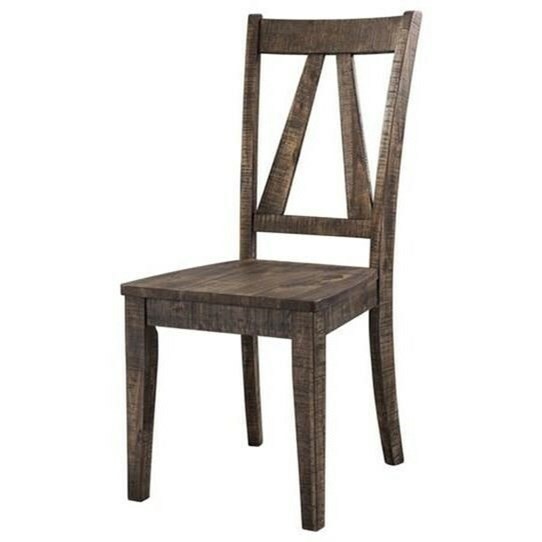 This side chair has a classic design with a smokey walnut finish. The backrest of the chair has an angled design, matched with the base of the trestle table Pair this chair with the table and upholstered chair from this collection and add a refined, yet casual table perfect for a farmhouse. The Finn Wood Side Chair by Elements International at Miskelly Furniture in the Jackson, Pearl, Madison, Ridgeland, Flowood Mississippi area. Product availability may vary. Contact us for the most current availability on this product.